The newly installed bus stop shelter at Agawam Village on County Road (Route 1A) will be formally dedicated on Monday, September 8. The ceremony will begin at 8 am, and the community is invited to participate. This project was made possible thanks to the Rotary Club of Ipswich; The Ipswich Family YMCA; Agawam Village Housing Authority; The Youth Group of Ascension Memorial Church; D.L. Clark, Inc.; Tedford’s True Value Hardware; Cape Ann Sign; the Conservation Committee of the Town of Ipswich; and special thanks to Bill Skelton. 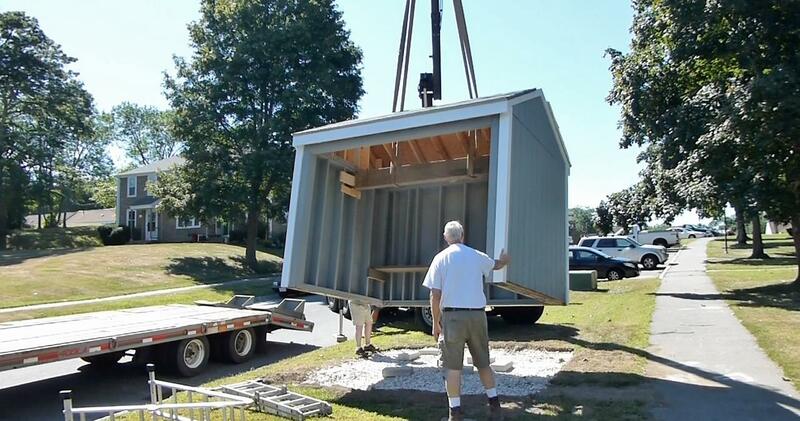 In the photos: the new shelter is guided into place by Rotarian Dave Clark and a team of volunteers on Friday, August 29, 2014. 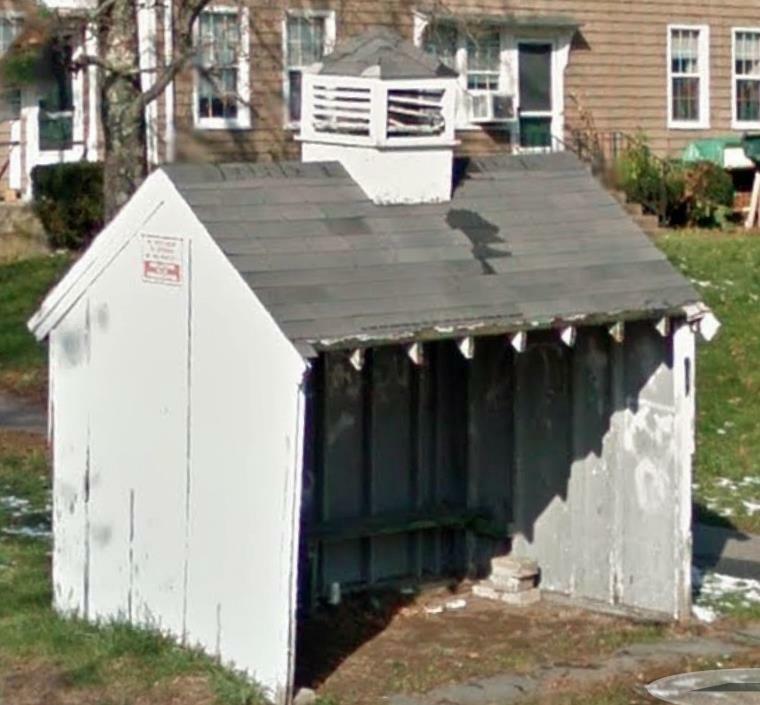 The old County Road shelter showed years of wear and tear.